Guardian is on the MOVE with this large release! Guardian is your solution for maintaining clean, consistent projects. This is done through cloud based rules, automatically enforced, that span Revit versions. Fill out the form on the Guardian page if you would like a demo. Connect your projects in the cloud! 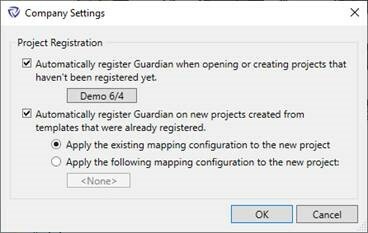 Guardian is now your solution to enforce standards and rules across all of your projects. In this release, we've changed the way projects were assigned rule sets - and made it much more transparent. 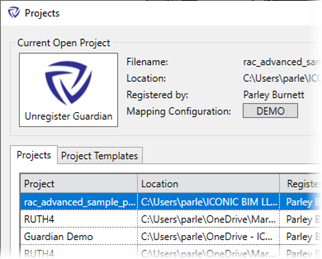 We think you'll enjoy having a place inside Revit where you can see all of your current projects AND enforce your standard on them however you see fit! Batch manage the applied Mapping Configuration applied to your projects. Search, archive and unregister projects. See who registered projects and when. See company Mapping Configurations in one place, including who created them and when. See how many projects each mapping configuration is using. Edit existing mappings easily. In batch, too! Create new mapping rules manually. Mappings are fully transparent, allowing you to see who created them and when. Company administrators choose how to automatically register Guardian on new and existing projects. 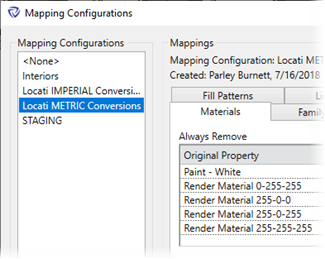 When automatically registering, choose which Mapping Configurations get applied by default.